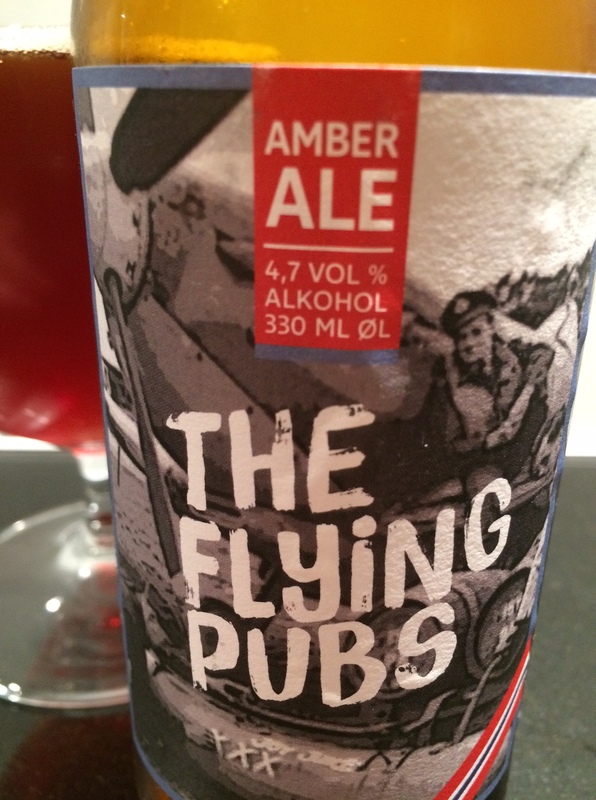 Back in 2013, beer historian Martyn Cornell told the fascinating story about The Flying Pubs. After the invasion in Normandy, the British soldiers grew tired of the local cider. The solution was to fly in beer from England. One of the RAF pilots involved in this was a Norwegian, Rolf Arne Berg, who was killed in action in early 1945. I briefly summarized the story in Norwegian some time ago, challenging the Norwegian breweries to make a beer to honor Berg. His 100th anniversary was last month. I am happy to tell that this idea was picked up by Øystein Kvåle, who lives in Orkanger, Berg’s home town. Øystein is involved in several beer and aquavit projects, and he brewed this beer in cooperation with Røros Bryggeri. The beer is an amber ale with 4.7% alcohol. It has a lovely amber color, malty sweetness and a discreet bitterness that gives a good balance. Nutty flavor. This would not be out of place in an English pub – in England or Normandy! A fine homage for a hero – and it is his photo on the label.